It's no secret that developing and creating innovative marketing strategies can be a significant challenge, regardless of the type of business you're in. Communicating values and traditions in an appealing way is more difficult that many business owners think. Custom apparel such as t-shirts, however, are a useful and eye-catching alternative to traditional marketing materials when used properly, and they can last for years with proper care. 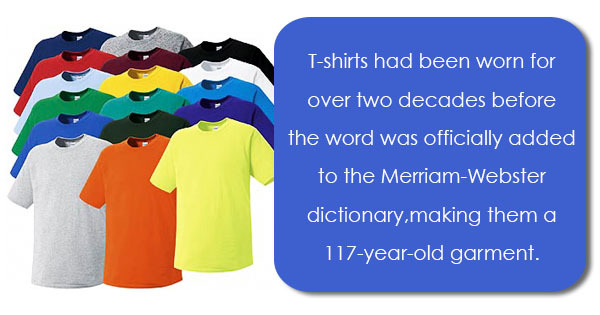 In fact, t-shirts had been worn for over two decades before the word was officially added to the Merriam-Webster dictionary, making them a 117-year-old garment. But before you invest in t-shirts for your business, it's important to know the facts about t-shirts and branding. Here are just a few of the countless benefits of investing in custom t-shirts and other apparel for your business. First, there are a number of ways to create and customize t-shirts and other apparel to your business's liking. One of the most popular methods is by using a sublimation transfer press, but other types of heat presses are viable methods as well. It typically helps to consider the size of the order in addition to the intricacy of the design before deciding on which method is the most cost-effective and reliable for your business's needs. But rest assured that there are plenty of options for creating high-quality custom t-shirts with even the most intricate designs, so your business will have the true opportunity to think outside the box. Custom t-shirts can really work wonders to bring your business's image and brand to life. With the combination of freedom of creation and widespread availability, your business's employees and its patrons alike will be able to don their apparel and continue to promote your business and all that it stands for. From company events to store promotions and other giveaways, your business can truly take maximum advantage of the countless ways to get people wearing its t-shirts. Each shirt sold or given away is another opportunity to gain even more free and long-term advertising. Ultimately, these are just two of the countless benefits of custom t-shirts for your business. Keep an eye out for the next post, where we'll discuss even more advantages of specialty heat presses, sublimation transfer presses, and other ways to make custom t-shirts for business promotion.